Rare fossilized shell Opal with very bright colors including Red. 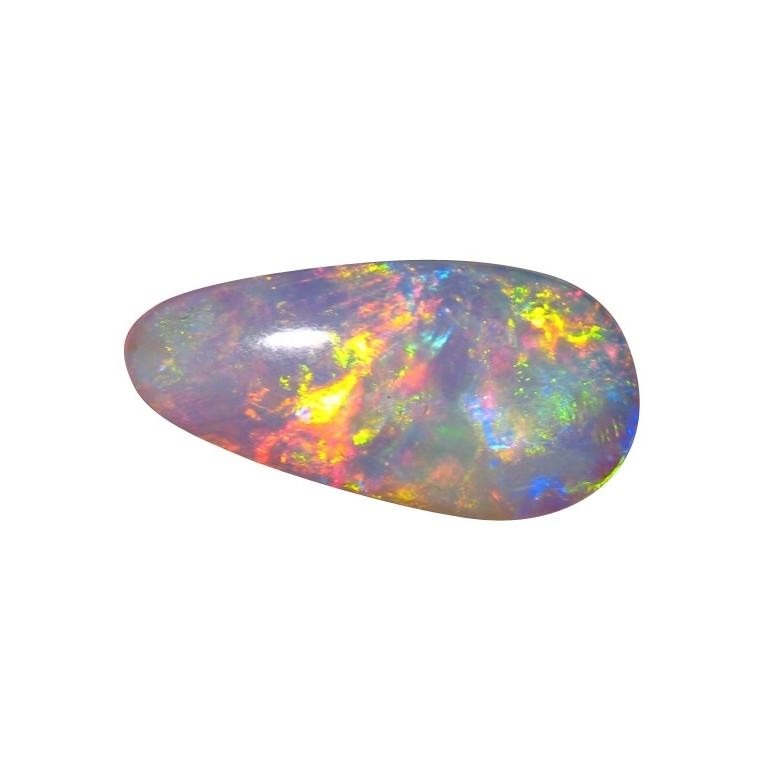 A pear shape or tear drop Opal weighing 5 carats making this an ideal pendant stone. A beautiful natural Shell Crystal Opal from Coober Pedy with very bright colors of Red, Green and Gold. 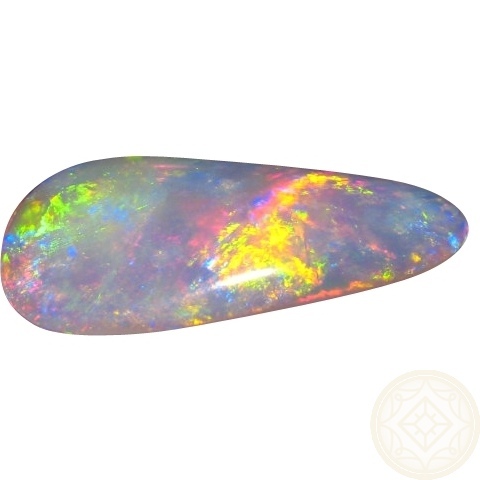 Cut to an elongated pear shape and finished with a high polish, this natural Opal stone is ready to set in a Pendant and a simple bell cap and bale can be added or a custom pendant design can be made. 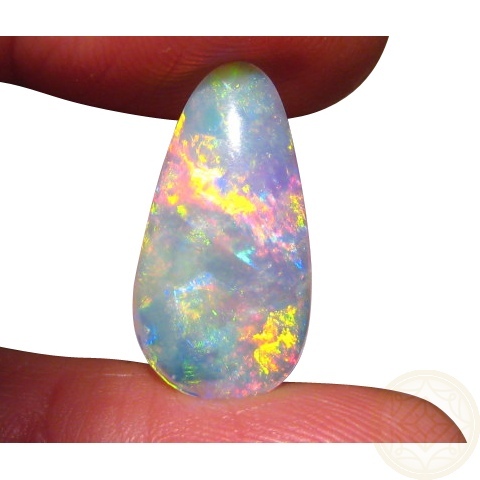 Opalized shell Opals are rare and this beauty is exceptional due to the bright colors and size.